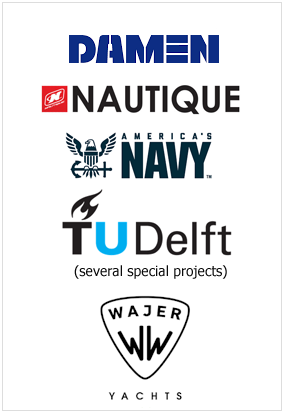 The marine environment can be one of the most challenging on Earth, so it demands the strongest defense against rust and corrosion. Whether you’re braving the swells of the ocean or racing across an inland lake, you can count on Boeshield T-9 in all conditions. 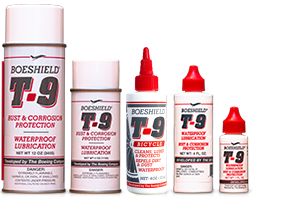 T-9’s waterproof formula withstands salt water and fresh to provide durable, long-lasting lubrication and protection for all metals, including stainless, cast iron, brass, copper and aluminum. Above deck, spray T-9 on all metal surfaces and wipe off the excess. Below deck, spray T-9 liberally on metal and leave it on for the strongest, longest-lasting protection available. True aerospace technology. T-9 was developed and licensed by global aerospace leader, The BoeingCompany, to fill a need for high-performance, long-term metal protection and lubrication. T-9’s unique formulation of solvent carrier and paraffin wax coating was engineered to penetrate crevices deeply, displace moisture, dissolve minor corrosion, and leave a clean, waxy coating with lasting durability—without using Teflon, silicone, fluorocarbons, MEK, or acetone.